Over the last couple of weeks I have been focusing on Universal Design for Learning (UDL). This began with a practical overview of the topic, followed by a more detailed post on one of UDL’s guiding principles – Multiple Means of Representation. This week I am continuing the trend by discussing Multiple Means Expression, which is another guiding principle of UDL and focuses on how students demonstrate their knowledge. While I hope that each post is beneficial, this particular post is important because no matter how well you may be presenting content, it is not until students demonstrate their knowledge that you know if it was a success. If you are new to Universal Design for Learning or not familiar with its three guiding principles, I recommend going back and reading over my last couple of posts before continuing on. Generally speaking, I find that most classrooms attempting to implement UDL do a good job of delivering content using Multiple Means of Representation. Although it requires planning, educators understand that not all students learn the same. 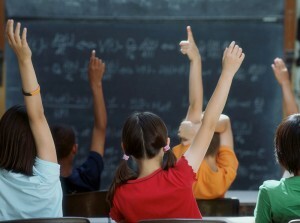 Therefore teaching content in a variety of formats provides the greatest chance of reaching the majority of students. Unfortunately I find the opposite is true when it comes to Multiple Means of Expression. While students may be taught content in a variety of ways, when asked to demonstrate their knowledge they are more likely to be provided with a single option such as a worksheet or quiz. While worksheets and quizzes are definitely one way to know if students understand content, it may not be the best format for every student. There are multiple reasons for this, including preference, potential barriers a quiz or worksheet create, and so on. While preference may not be a priority for most, remember that Multiple Means of Engagement must be intertwined in both Multiple Means of Expression and Representation. And unfortunately receiving a worksheet or quiz isn’t the most engaging experience for many students. Before deciding on what way (or ways) students are to express their knowledge, be sure to take a close look at what areas individuals excel or struggle in most. This will help in providing more appropriate options for students who need it most. For example, in one setting you may find it best to offer a variety of ways students can demonstrate their knowledge (creating a presentation, delivering a speech, making a video, writing a story, etc…). In other settings you may find it best to offer one option, such as creating a graphic organiser, but provide several scaffolds for students requiring additional supports. Although each setting is different, both are providing multiple ways for students to express their knowledge. The idea of providing multiple engaging ways for students to demonstrate knowledge brings up an interesting point… Creating a video or drawing a picture sounds great, but students aren’t asked to make videos and drawings on end of year assessments. This is true, and one of the main reasons you should always begin or end a lesson with programming for generalisation. Generalisation basically means being able to understand information presented in different formats. So while the majority of a class may involve an engaging activity, a few minutes at the end should be dedicated to showing that same information in a multiple choice or open response format. This not only helps students perform better on end of the year assessments, but also helps them to see how those questions relate to real life. Another critical component of Multiple Means of Engagement is access to assistive technology. In last week’s post I discussed the importance of having supports like Read&Write Gold for students who struggle with reading or speak English as a second language. The same is true when many of these students are asked to express their knowledge. For example, students writing a paper could benefit from supports such as graphic organisers, word prediction, and editing supports such as advanced spell check, homophone supports, and more. When using software such as Read&Write Gold these supports can all be found in one application that integrates directly with programs students are already using, such as Microsoft Word, Google Documents, Websites, and more. There is much more to Universal Design for Learning than what I am able to provide in these few short posts. For more information and ideas I recommend viewing the specific guidelines and checkpoints related to Expression on the UDL Center’s website. Also please be sure to list any ideas, resources, or questions you have related to Multiple Means of Expression in the comments section below.